seProposals is a proposal and quoting platform that can integrate with any CRM or ERP. It allows sales teams to create visually stunning proposals quickly, and improve organizational brand consistency. Users can generate accurate quotes & PDF documents based on the corporate brand, and centrally store approved content to provide sales teams with the assets they need to succeed. With seProposals, sales and marketing staff can create proposals on-the-fly, with as much flexibility or restraint as the organization allows. Users can restrict the editing of legal text and other content to subject matter experts, ensuring text approved by legal doesn't get altered. Teams can quickly and easily generate accurate quotes, as well as eliminate any unapproved discounting. seProposals tailors the solution’s pricing engine to each company, and can make even the most complex pricing system simple. Sales teams can generate beautiful PDF proposals and documents which are visually impressive and help reinforce the brand. Users simply point and click to select content to build visually impressive proposals and quotes. With seProposals, organizations can centrally store approved content to ensure sales teams have continuous access to accurate, up-to-date information. Proposal analytics allow users to analyze user activity, as well as which proposals need improvement, and which ones are winning business. There are currently no reviews of seProposals. Pricing is $85 per user, per month, with over 30 users. Contact Sales Element for volume discounts. • Quickly produce visually impressive, complex quotes based on your corporate look. Reinforce your brand and create consistency across your organization. • Reduce proposal and quote creation time, and improve your bottom line by being more responsive to customer requests with seProposals. • Sales operations and management get real-time updates on pricing and proposals. seProposals tailors the pricing engine to your company, and can make even the most complex pricing system simple. 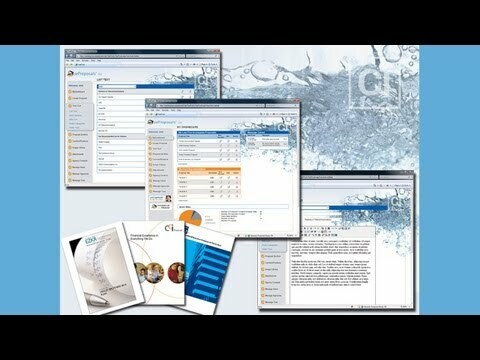 • Reduce data-entry into your CRM and eliminate Excel, emails, and back-and-forth to get quotes done with seProposals. • Analyze what users are doing, which proposals need improvement, and which ones are winning business with proposal analytics. Below are some frequently asked questions for seProposals. Q. What type of pricing plans does seProposals offer? Q. Who are the typical users of seProposals? Q. What languages does seProposals support? Q. Does seProposals support mobile devices? Q. Does seProposals offer an API? No, seProposals does not have an API available. Q. What other apps does seProposals integrate with? Q. What level of support does seProposals offer?